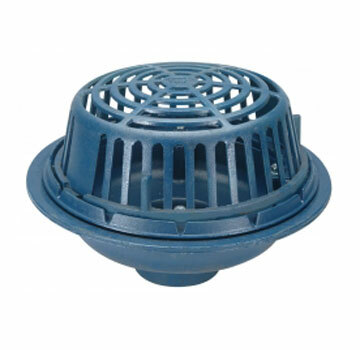 PRODUCT: ZURN Z100 15" ROOF DRAIN WITH POLY DOME, NO-HUB 8" OUTLET. PRICE/EACH. Low silhouette 4 1/2" High Poly-Dome.